Use the remote to engage and disengage with the mower. A chained debris guard stops material from flying forward. Easy hitch attachment to UTVs, ATVs or tractors. 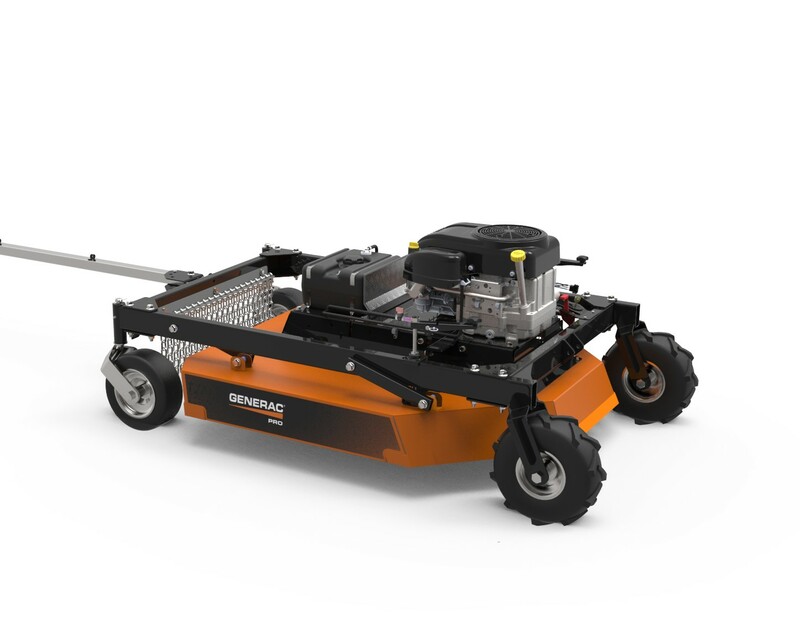 Generac G-Force Engine- Robust and reliable. Pressurized Lubrication- Pressured lubrication ensures that oil is immediately present at the start of the engine. Reducing the wear of the engine components for a long life. Pivoting Blades- Absorb impact from immovable objects to protect blades and engine. Wide Mowing Path- 44 inches of mowing width. Tow behind models mow outside of the track width.